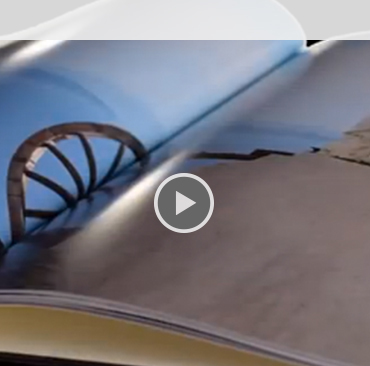 CEWE PHOTOBOOK - All our Paper Types at a glance! Quality has a high priority for us: for all digital print versions of the CEWE PHOTOBOOK, we use particularly fine standard paper. The base represents a grammage of 200 g/m², with photo stitching at 150 g/m². Our XXL Landscape CEWE PHOTOBOOKS in exclusive leather or premium linen cover use a slightly heavier paper, which has a thickness of 250 g/m². For our CEWE PHOTOBOOK variants with high-gloss finish, we use digital printing paper of the highest quality and a thickness of 200g/m². 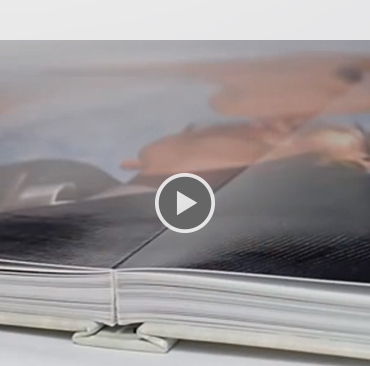 During the manufacturing process the inner pages are treated with a fine glossy coating. 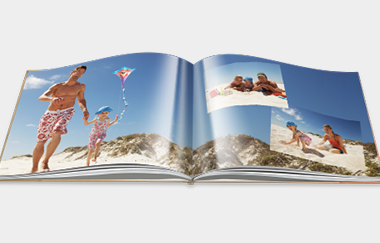 It gives the colours in your CEWE PHOTOBOOK a special radiance. The coating makes the inner pages more resistent to dirt and moisture (and fingerprints!). Restrained in appearance, all the more noble for it: choose our new True Matte Paper for your CEWE PHOTOBOOK for a unique look. In the production process we use a special HD ink printed on high-quality digital printing paper with a grammage of 170 g/m². We also will print your hardcover CEWE PHOTOBOOK cover with a matte finish. Look forward to an extraordinary kind of finish!